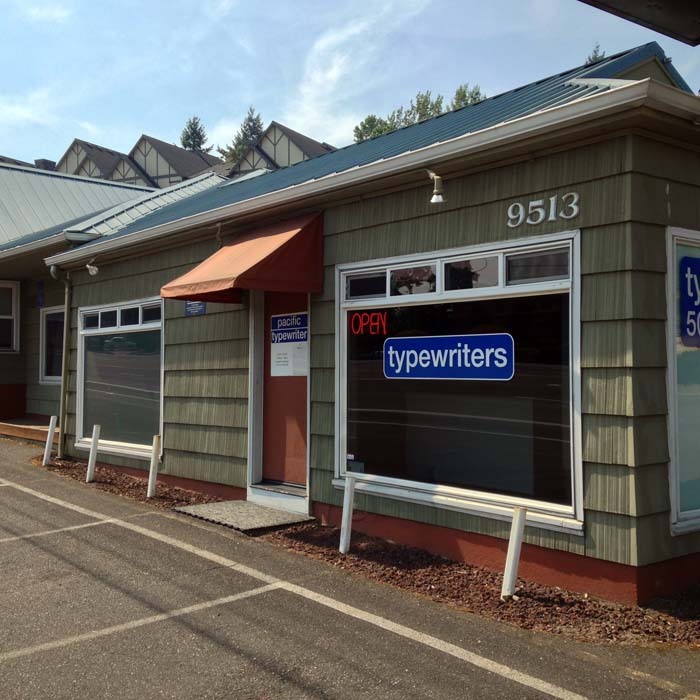 Today it was time to visit Pacific Typewriter, in southwest Portland. 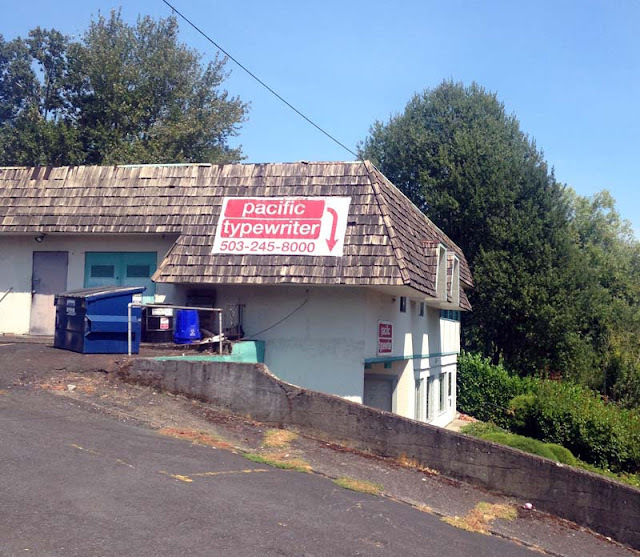 When I got there I instantly recognized the odd, tucked-away building from my virtual tour of U.S. typewriter shops. Inside was friendly owner Don Read, who was glad to share stories about typewriters and the office machine business. In 1966, after "flunking" his physical exam for the draft, Don was recruited for the Oregon Tech wrestling team and ended up taking a typewriter repair class there. It's turned into a successful and profitable career for him. 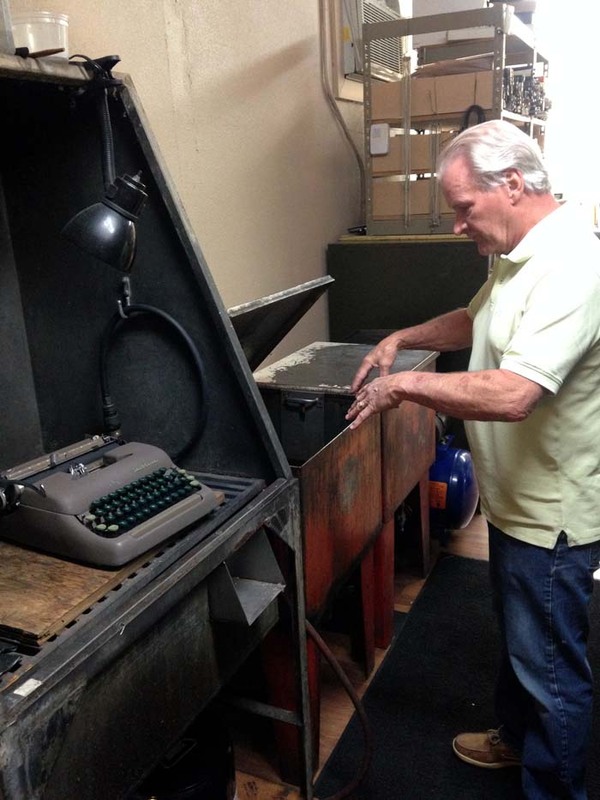 Don took me behind the counter and showed me his typewriter cleaning tanks. What's in them? 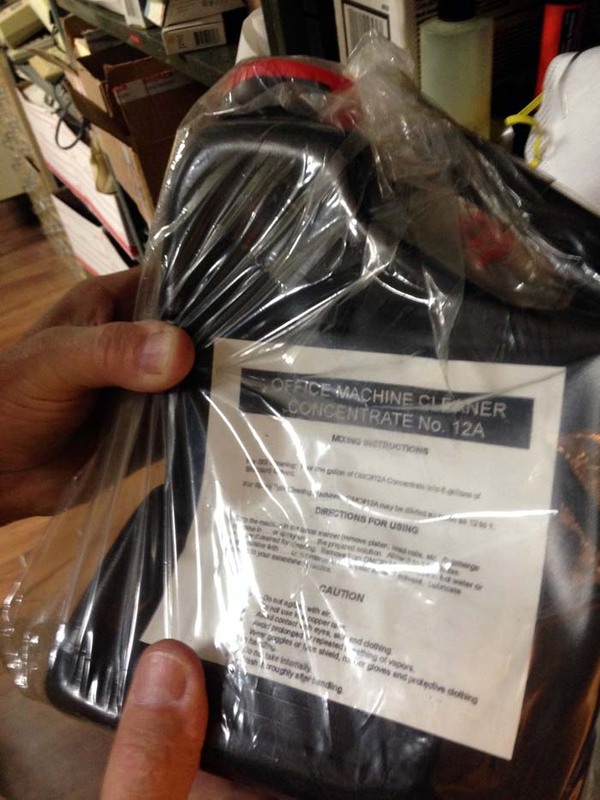 One key ingredient is LIX Office Machine Cleaner Concentrate No. 12A. LIX is the cleaner that most office machine companies used to chemically clean typewriters. 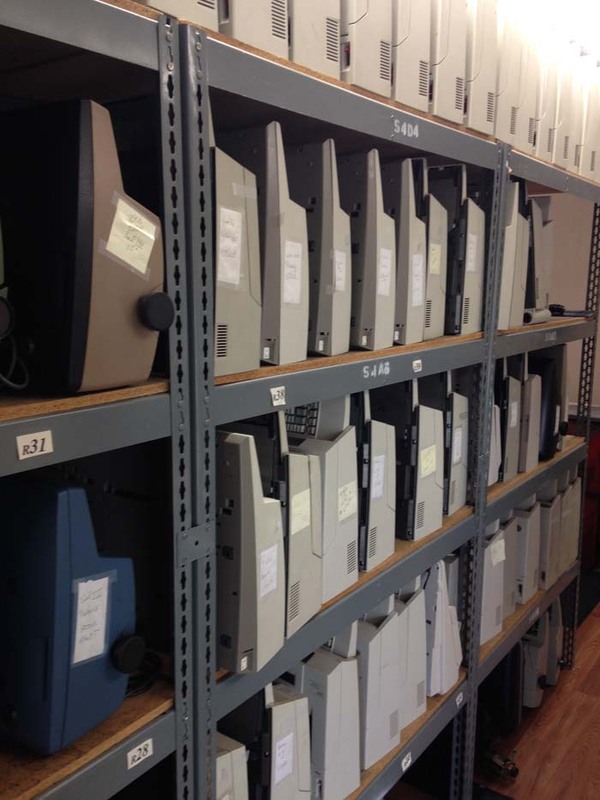 adding machines, calculators, check protectors, nearly any mechanical office machines. 1. Mix 1 part Lix with 7 parts petroleum solvent. Soak your machine in this solution for an hour or more depending on how dirty and gummy it is. 2. Wash machine with hot water and blow dry with compressed air. 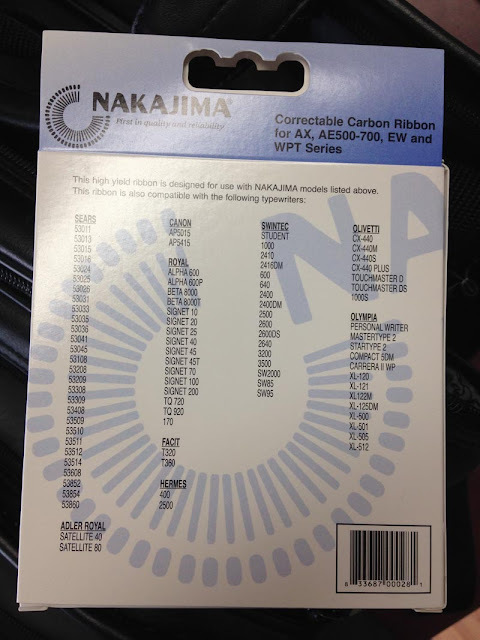 Don't blow your springs and 'stuff' off. 3. Spray the machine with a very light oil and let it dip dry for several hours. Be sure you remove all motors, electrical wiring etc., before cleaning machine. LIX can be used over and over, when you are through cleaning machine, just store in an air tight container for the next machine. Collectors can purchase LIX by the gallon directly from LCS Corporation. 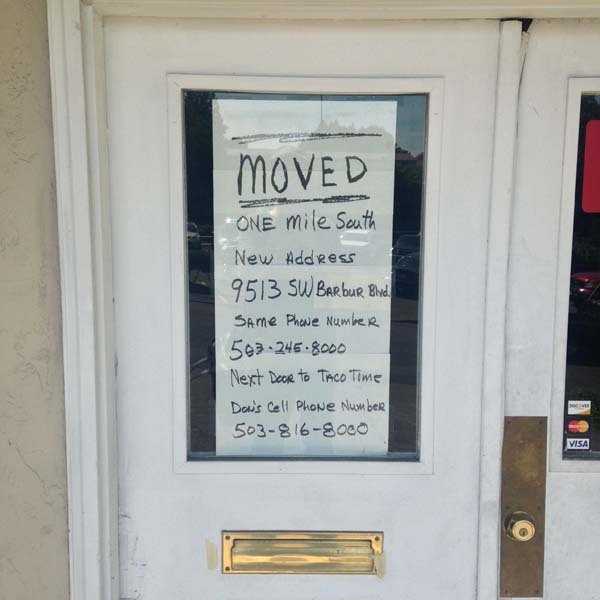 LCS is currently located in Prarie Village, KS. Phone: 913-856-2525. Don said they produce batches of this stuff only a few times a year. Is is toxic? He never asked, he says, and he hasn't gotten sick yet. We shared a chuckle over the treatment recommended in one of my old typewriter repair books: dip the machine in a nice cyanide solution! Don has moved the shop twice in recent years, and says that several pickups worth of junk typewriters were carted off to the dump. But he still has shelves and shelves of parts machines and restorable machines in the shop. Back in the ’80s, says Don, there were 22 typewriter dealers in Portland. 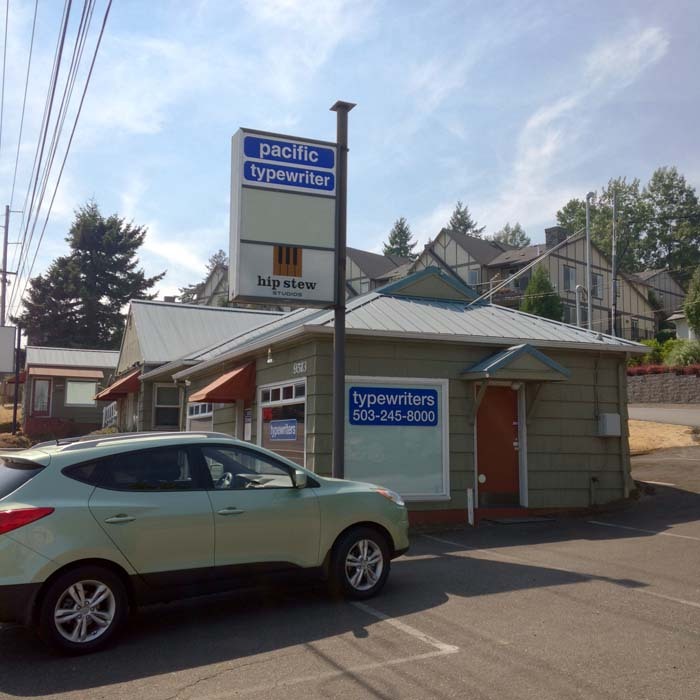 Competition was fierce, but through strategy and luck, his company (then called Portland Typewriter) rose to the top. For instance, he took a chance and invested in a batch of 100 Selectrics; in those quantities, IBM would sell them to dealers for $695 apiece. Retailing them for $100 more, Don was able to beat the price of everyone in town. In one year, he sold 1,010 Selectrics. 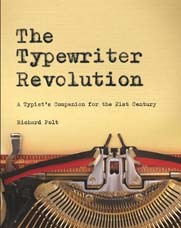 Businesses still depended on typewriters, and would buy them in large quantities—for instance, 125 Wheelwriters at a time. 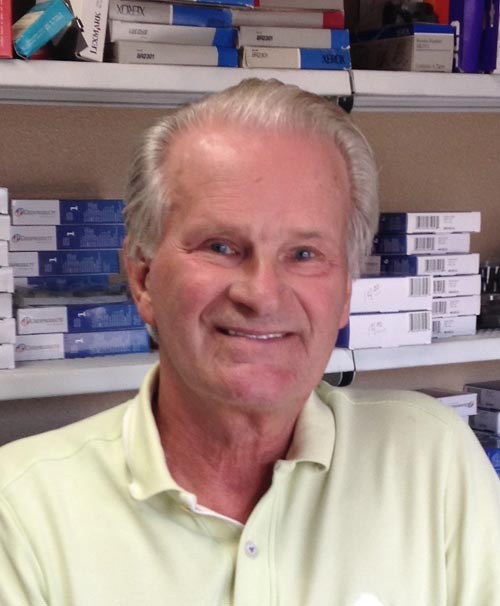 For a while, Don was also in the copier business, and was the #1 Copystar dealer in the US. 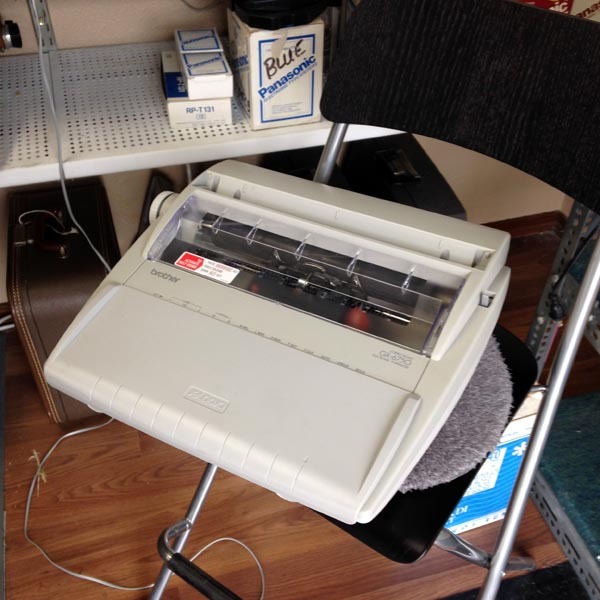 Even today, quite a few businesses want some typewriters, along with yearly maintenance contracts that Don is happy to fulfill. Several years ago he also gained many contracts for state agencies, and he still travels to Salem, the state capital, once a week to service typewriters. Below are some of the typewriters Don currently has for sale, along with repair jobs. 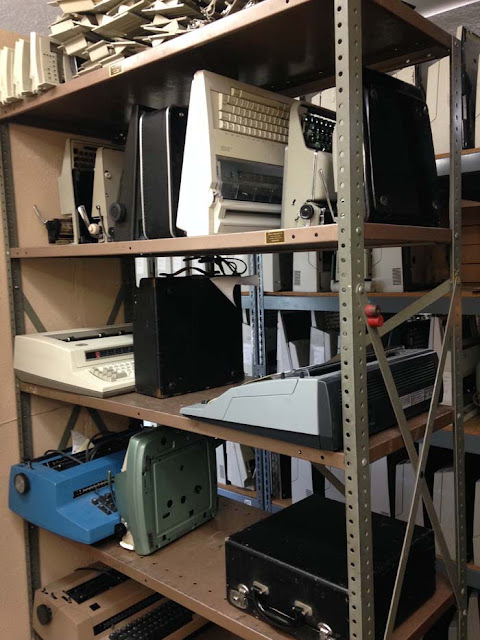 As you can see, there's everything from electronic wedges to a little Underwood three-bank. Don personally prefers working on the more modern, electric machines (but not Selectrics, which do everything differently). He farms out the Selectrics to another technician, and often refers customers with old manuals to Matt at Ace Typewriter. "We used to throw this [old] stuff away," he said. Now he doesn't, don't worry. 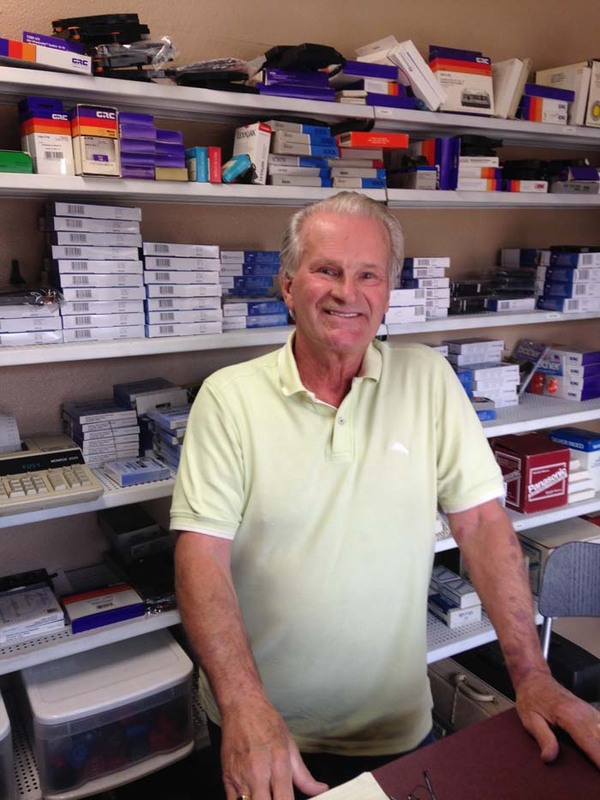 And he's grateful to YouTube and antique shops for bringing customers to him and Matt: the typewriter repair advice on YouTube is often wrong or leaves out crucial steps, and the typewriters sold at antique shops almost always need some work. 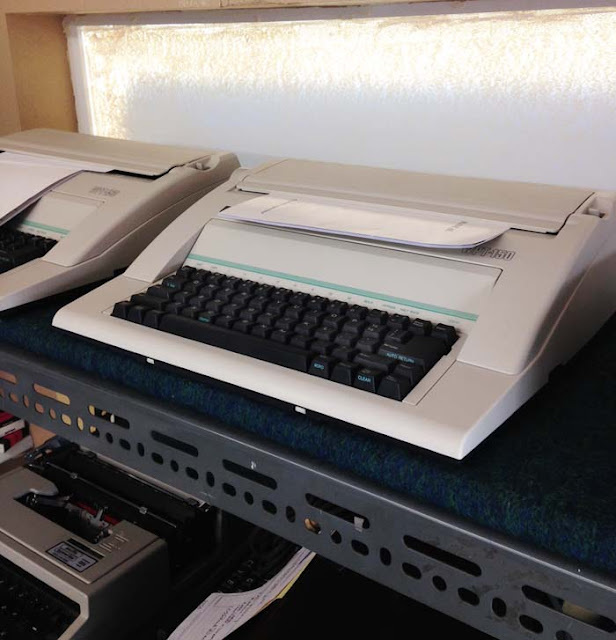 Don likes working on IBM Wheelwriters, which you can see lined up here. He visited the factory in Lexington once and saw robots assembling these machines, which are very simply constructed. 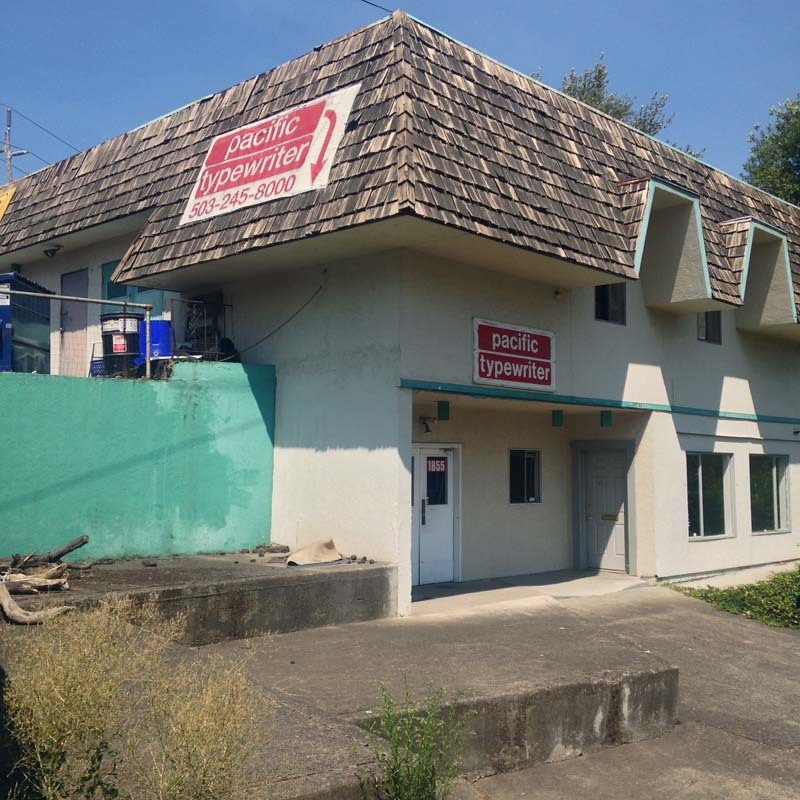 They're hardworking tools that are popular with Don's business clients, including law offices and mortuaries (the state requires a typewritten death certificate). The one brand of electronic typewriter on the market today that Don recommends is Nakajima. As for the Brother electronics that we often see in thrift stores, Don says they're junk. Some key moving pieces are bound to break, due to construction that wiggles metal against plastic, which can only take so much stress. Thanks for all the information and for your hospitality, Don! That is a very interesting person and typewriter shop. Scrounges like me though would have hauled those junk typewriters to a storage shed. Thanks for the information on the cleaner. I've got to give some of it a try. I can't think of another city of this size that has as much going on. Typewriter capital of the US! 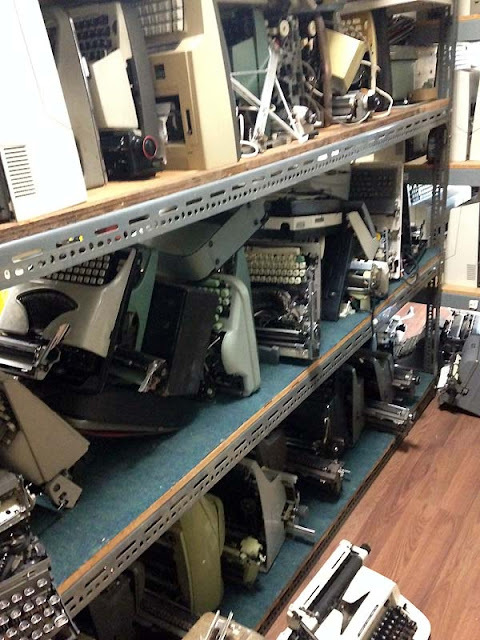 There are at least three shops where you can bring your typewriter for repair (Ace, Bill Morrison, and Pacific). 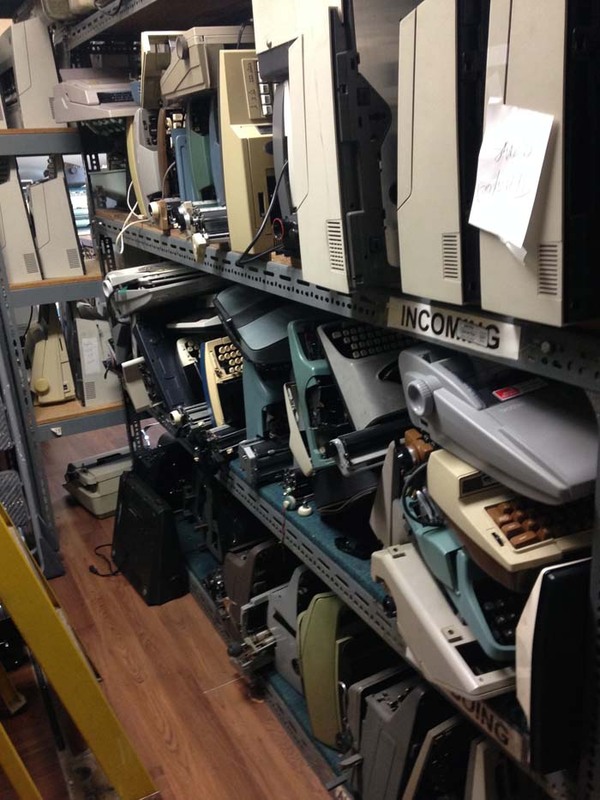 They all sell typewriters (Ace has lots of old manuals, Bill Morrison has just a couple of machines, and Pacific has lots of electrics and some manuals). 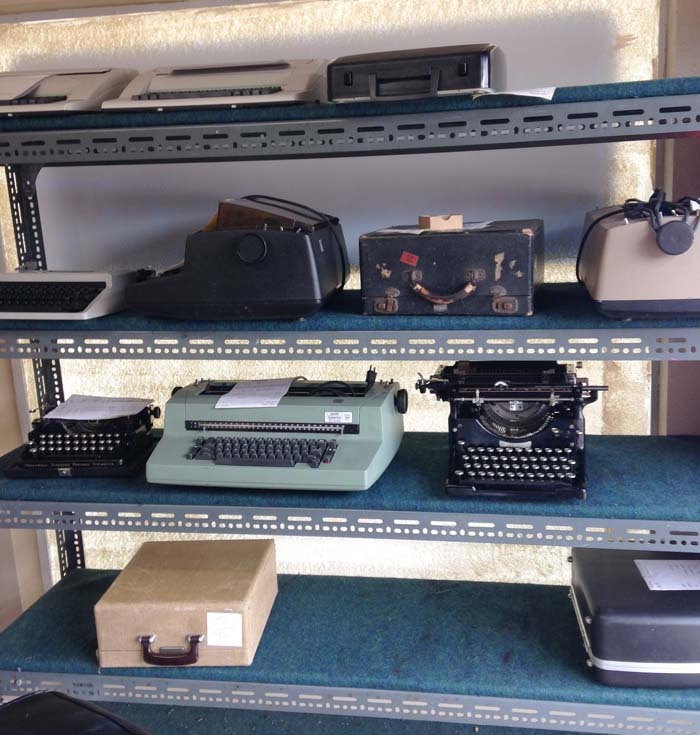 In addition, there are at least two more places (Blue Moon and Oblation Papers) where you can buy restored typewriters. Cool to visit when in Portland. Blue Moon too. One of those personal promises is to travel through typosphere posts from first thought to last. Here is another great story to motivate me to do just that.